Call today to schedule an appointment or request the next available time online. Kybella is an injection that decreases the submental fat commonly known as the double chin. The active ingredient in Kybella is deoxycholic acid. It is a bile acid that is naturally produced in the body. Once injected it destroys fat cells beneath the chin area so it can't store fat anymore. This can produce a beautifully contoured jaw line. 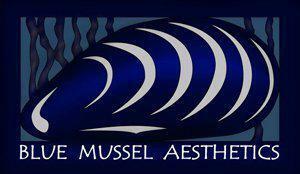 Blue Mussel Aesthetics also offers Nitronox (laughing gas) for pain relief with procedures for an additional charge. Minor side effects such as swelling, tenderness and redness do occur and typically subside in one to two weeks. Bruising is possible. Results will be seen at 4-6 weeks and are permanent. Kybella is priced at $600 per vial. Multiple vials may be needed per treatment. Your Nurse Practitioner will form a customized treatment plan at your consult. Multiple treatments (between 2-6) are typically required for optimal results.